Our team at Pothier Motors Limited understands how frustrating it can be to deal with the aftermath of an automobile accident. Luckily, dash cams are available to make the process a bit easier. 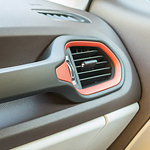 We want you to be an informed vehicle owner and make the most out of accessories that can keep you protected. Here's some information about dash cams that you need to know. Both the sliding side door and the rear liftgate are equipped with sensors beneath the chassis of the vehicle that activate two motors—one to unlatch the connectors and the other to open the doors. If you are looking for an SUV, our team at Pothier Motors Limited recommends the Jeep Renegade. The Jeep Renegade is a popular SUV because it offers a number of impressive features that enhance capability. We like to keep our consumers up-to-date about the features of our models, so we have summarized a few of the Jeep Renegade's capability features below. 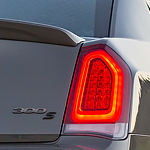 The Chrysler 300: Which Performance Features Will You Choose? Are you in the market for a full-size luxury sedan? Here at Pothier Motors Limited, the Chrysler 300 is a sought-after model that provides drivers with numerous benefits, such as performance features that enhance your driving experience. The Jeep Grand Cherokee has long been one of North America's favorite SUVs. 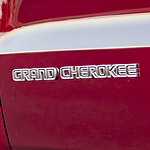 The Jeep Grand Cherokee combines a functional build with great performance measures. It's got a great athletic stance that telegraphs its power to onlookers. This is an SUV that can do it all while looking great, too. Our team here at Pothier Motors Limited in Falmouth are very excited to show you how great the new Dodge Challenger looks. This popular muscle car is beautifully designed inside and out. However, you can kick the aesthetic appeal up a notch with the available R/T Classic package. 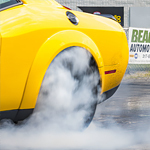 This package includes many design elements to personalize your ride. 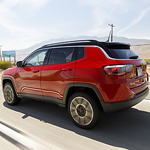 Whether you need to help another less-capable vehicle out of a sticky situation or you have to haul heavy cargo over rough terrain to reach your final destination, the Jeep Compass has you covered. This beloved compact SUV is available at Pothier Motors Limited in Falmouth. It has a powerful engine and some rugged features that are ready for anything. You depend on your truck to help get the job done. Finding the right truck for your next new vehicle can be overwhelming with the number of options available. 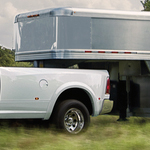 Fortunately, our knowledgeable team is here to help you find your next new truck. 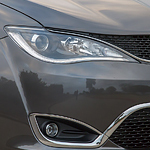 When it comes to fuel efficiency, the engineers over at Dodge are constantly pushing the envelope. 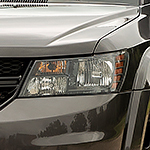 The 2018 Dodge Journey gets up to 9.2 L/100 KM, and that allows you to drive nearly 800 highway kilometres per tank. Here is a closer look at just a few of the features that make this vehicle one of the most popular midsize SUVs on the market.